A page dedicated to all of the miscellaneous pages and content of jmdesantis.com. 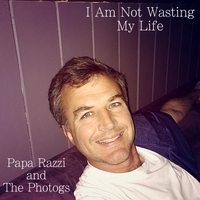 J. M. DeSantis’s Appearances, Conventions, Shows, etc. Events & Shows Page – a list of J. M. DeSantis’s upcoming appearances, conventions and shows (always kept up-to-date). Web-Publications & Web-Comics – a listing of J. M. DeSantis’s publications available for free on the web. Wallpapers – wallpapers for your computer and phone, featuring artwork and writing by J. M. DeSantis. E-Cards – an area J. M. DeSantis had once concentrated on for a time, there are a number of free e-cards written and with artwork by J. M. DeSantis at his 123Greetings.com page. Other websites, either owned, co-owned or directly affiliated with J. M. DeSantis. CHADHIYANA.COM – the Official Chadhiyana website, J. M. DeSantis’s medieval Indian fantasy heroine. 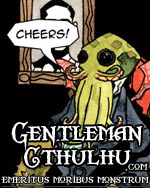 GENTLEMANCTHULHU.COM – a humorous horror web-comic by J. M. DeSantis inspired by the work of H. P. Lovecraft. FIGMUNDS.COM – an old, but not forgotten, in-development children’s series from J. M. DeSantis.